Everyone thinks Sophie’s sister, Nell, went crazy. After all, she heard strange voices that drove her to commit suicide. But Sophie doesn’t believe that Nell would take her own life, and she’s convinced that Nell’s doctor knows more than he’s letting on.As Sophie starts to piece together Nell’s last days, every lead ends in a web of lies. And the deeper Sophie digs, the more danger she’s in—because now she’s hearing the same haunting whispers. Sophie’s starting to think she’s going crazy too. Or worse, that maybe she’s not…. 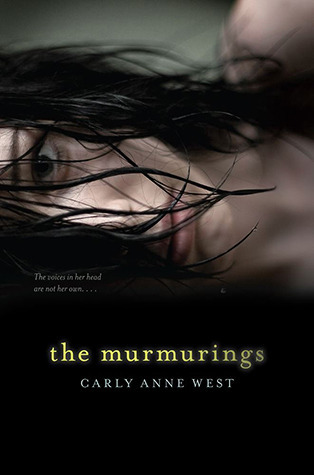 The Murmurings was a creepy thrill ride of a novel. I was sucked in from page one, stayed up way to late to finish it because I just had to know how it all ended. The main character Sophie is convincing, brave, and selfless; something we all look for in our heroines. The world-building was spot on, which made the book that much more suspenseful and thrilling. I was literally on the edge of my seat during many of the scenes. I loved the fact that we got to learn about Sophie's sister Nell through diary entries that were perfectly placed throughout the novel. I was shocked when I found out the secret behind the "murmurings", and it was just as terrifying as anything I had imagined it to be while waiting for the reveal. I would definitely recommend this book to fans of suspense, horror, and mystery novels. I also feel that fans of YA contemporary fiction would enjoy this one, as long as they don't mind the spook factor. 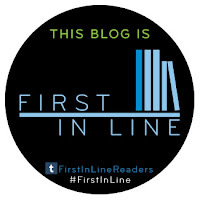 All in all, The Murmurings was a brilliant debut, and I will gladly pick up whatever Carly Anne West writes next. More from this author please! I am a huge fan of getting spooked, so I have been looking forward to this one for a while now. Unfortunately, once reviews started coming in for it, I heard some not so great things about it. Now though, you have made my day. This sounds like a book that I would very much enjoy! And I like a little contemporary thrown in with my spooky! Thanks so much for the review! Ohhh great review I love it this book looks and sounds awesome!